Staff at three care homes in Leeds are celebrating after they performed strongly in a nationwide care standards survey answered by residents and their relatives. Anchor’s Berkeley Court care home in Harehills scored highly in the Your Care Rating survey which asked the residents to comment on the care they receive. The results show Berkeley Court was given an overall performance rating score of 902 out of 1,000 and 848 out of 1,000 by the residents and their families and friends respectively. 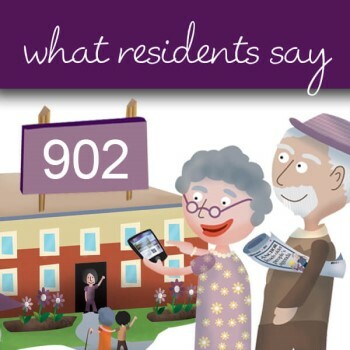 Beech Hall care home in Armley scored 883 out of 1,000 and 904 out of 1,000 by the residents and their families and friends survey while Primrose Court care home in Guiseley scored 887 out of 1,000 and 916 out of 1,000 in their respective surveys. The scores were well above the national averages of 882 for the residents’ survey and 842 for the relatives’ survey. The nationwide survey gives residents and their families and friends a voice, putting their care at the heart of understanding more about how well care homes perform. All three care homes scored highly in the following categories in the residents’ surveys: the older people said they were happy living at the home and staff treated them as an individual. Manager Krzysztof Bialczyk, from Berkeley Court, said: “It’s great that not just our residents, but their families and friends value the care they receive here.